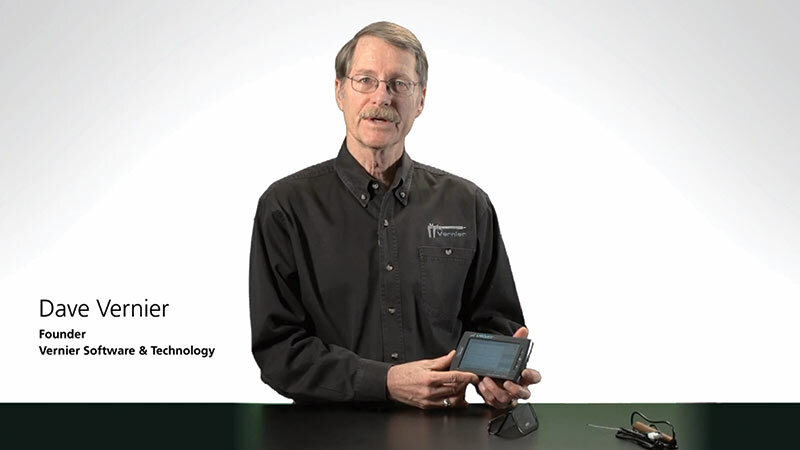 Vernier LabQuest 2 is a standalone interface used to collect sensor data with its built-in graphing and analysis application. The large, high-resolution touch screen makes it easy and intuitive to collect, analyze, and share data from experiments. Its wireless connectivity encourages collaboration and personalized learning. You can also use LabQuest 2 as a USB sensor interface using Logger Pro software or with our Graphical Analysis app for iOS, Android, or Chrome to stream data wirelessly to one or more mobile devices. Wireless data sharing supports hands-on, collaborative learning with individualized accountability. Using a Data Sharing app, lab group members connect wirelessly to a LabQuest 2 and collaboratively collect data from an experiment. Students can use mobile devices to analyze an individual copy of the data. LabQuest 2 is compatible with over 70 Vernier sensors to support multi-variable experiments and data-logging activities. Connect this sensor via Bluetooth® for best results. Full support of this sensor is only available when LabQuest 2 is connected to a computer or Chromebook via Wireless Data Sharing. This sensor is not supported when used with a LabQuest 2 connected via USB to a computer or Chromebook. Connect this sensor directly to a computer or Chromebook via USB for best results. Alternatively, this sensor is fully supported when used with LabQuest 2 when LabQuest 2 is connected to a computer or Chromebook via Wireless Data Sharing. Full support of this sensor is only available when LabQuest 2 is connected to a computer or Chromebook via Wireless Data Sharing. Our packages combine the LabQuest 2 with sensors recommended for a subject area. Buy the package that best suits your budget or needs, or use the package as a starting point to building your own package. LabQuest 2 and the Connected Science System was selected as a finalist in the digital devices and international digital resource categories for the 2015 Bett Awards! The Bett Awards provide a showcase of resources and companies that seek to provide educators with the information, ideas and inspiration that are fundamental to the learning process. LabQuest 2 app was selected as a finalist in the Best Educational Use of a Mobile Device category for the 2013 CODiE Awards! The category recognizes the best curriculum or administrative application, designed for either PK-12 or postsecondary markets, that is delivered via mobile devices, including smartphones or tablets. Get new features and enhancements with free software updates to LabQuest 2.